Delve into the text, and the climate change-curbing veneer amounts to a Trojan horse for a bigger nationalization of the economy than seen under President Franklin D. Roosevelt. The sponsors themselves say their goal is the "massive transformation of our society" in a progressive image, rather than simply stopping global warming. Kids, it's time to give your parents 'the talk.' Not that one, the one on climate change. 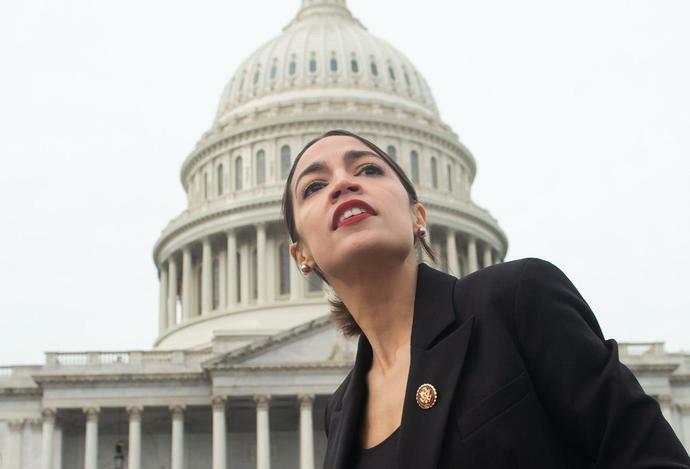 That's why the resolution seeks to mobilize society as in World War II, which Ocasio-Cortez claims is the appropriate analogy. If the nation can be convinced the overwhelming social goal is countering the existential threat of climate change at all costs, then people would be willing to make sacrifices - be it lost economic growth, fewer flights or less beef. Yet it's difficult to make that case when you then tack on a myriad of unrelated policies to the program. According to the resolution, decarbonization must also be supported by a massive expansion of social spending. Ocasio-Cortez's plan suggests it's not true that we must take a hit today to ensure the planet's future - according to this we'll be richer too!